The Air Force flag is dipped in salute in all military ceremonies when the national anthem or To the Colors is played and when rendering honors. 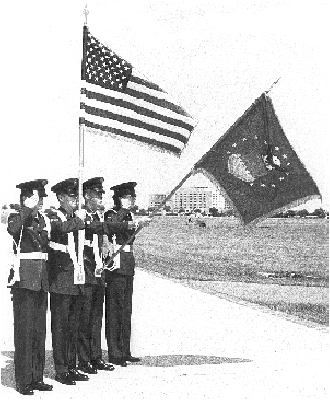 In marching, the Air Force flag is dipped in salute when it is approximately six paces from the front of the person entitled to the salute. It resumes the carry when it is approximately six paces beyond that person.